When they have to go, they have to go! We have safety certified aerial lift equipment for tree removals with access, and climbers for those hard to get places. Our climbers have over 20 years experience climbing and rigging trees for removal. That’s a lot of experience in your tree(and experience is everything in big tree removal). Our gear is all industry specific and inspected daily. We also have 2 million in liability. Not to mention that we do a pretty amazing clean-up! Tree pruning is both an art and a science! As such, it should only be performed by certified or trained professionals. Most of our staff have been in the industry for over ten years! We know how to prune your tree to ISA standards, and it shows. Things go “bump in the night”, and we are just an email or call away. We have experience in almost every situation, and since 1999 we’ve seen a lot of them! 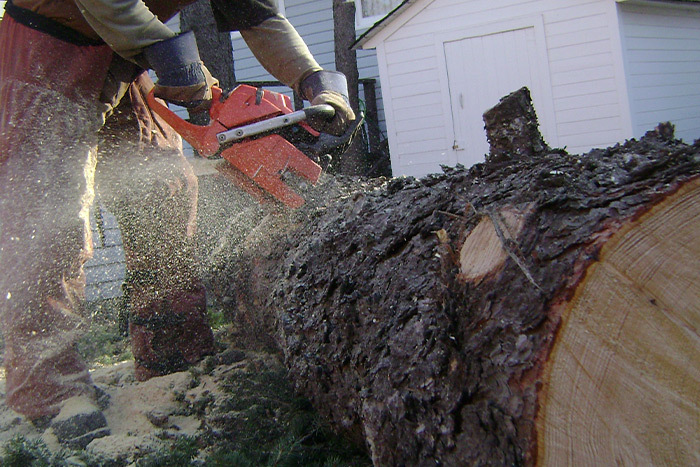 This when you really need experienced and reliable tree care professionals. And to be reliable, we only accept as many storm damage clients as we can handle. Too many firms take advantage of storm damage as big money makers. Northern Tree isn’t one of them. We won’t take advantage of your misfortunes, but in turn we only provide this service to so many.